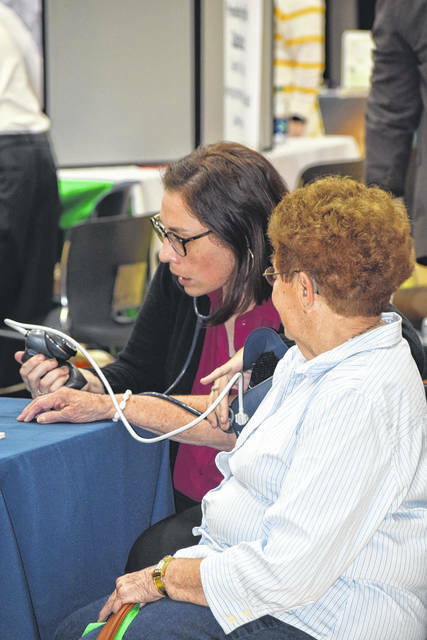 The Preble County YMCA held its annual health fair on Thursday, Sept. 13, as a way to get the community connected to services in the area. According to Becky Morin, Membership Director at the Preble County YWCA, this is the 14th or 15th year the event has been held. 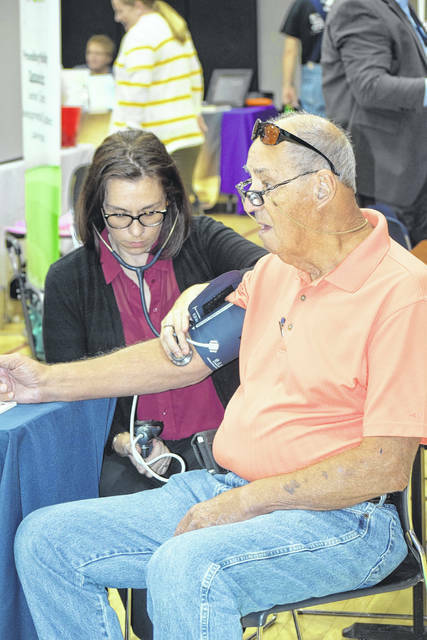 EATON — The Preble County YMCA held its annual health fair on Thursday, Sept. 13, as a way to get the community connected to services available in the area. According to Becky Morin, Membership Director at the Preble County YWCA, this is the 14th or 15th year the event has been held. “This is getting the community connected with all of our vendors and letting them know what we have for the Preble County residents. I like all the participation with our vendors. The vendors love to come here and the community is really enjoying coming here for all the information that we gather,” Morin said. 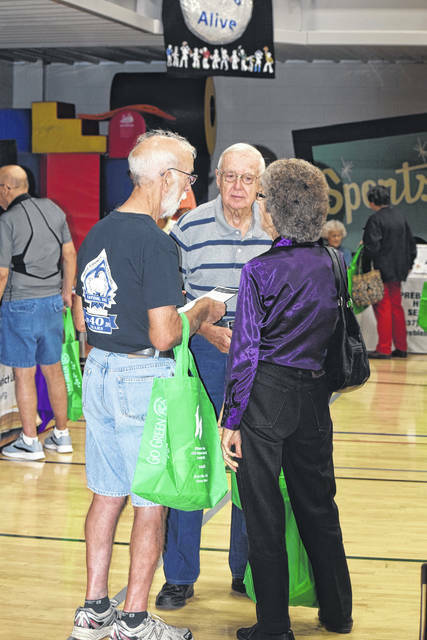 There were various booths set up in the YMCA gym, allowing for attendees to check their “numbers” — from blood sugar to blood pressure, as well as get information from different medical organizations represented at the fair. 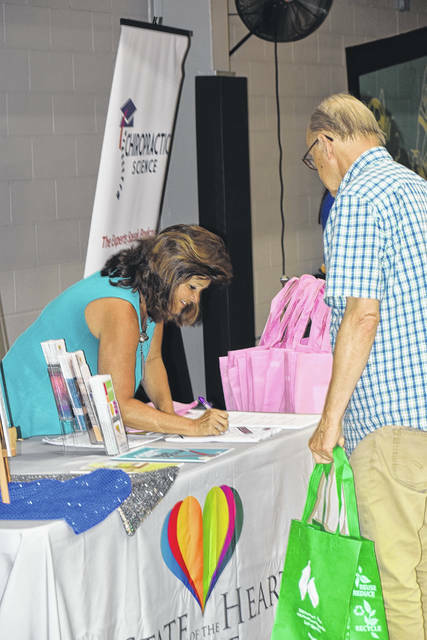 “We had 46 vendors representing Preble County, covering many areas of health issues from heart health to mental health to financial health. 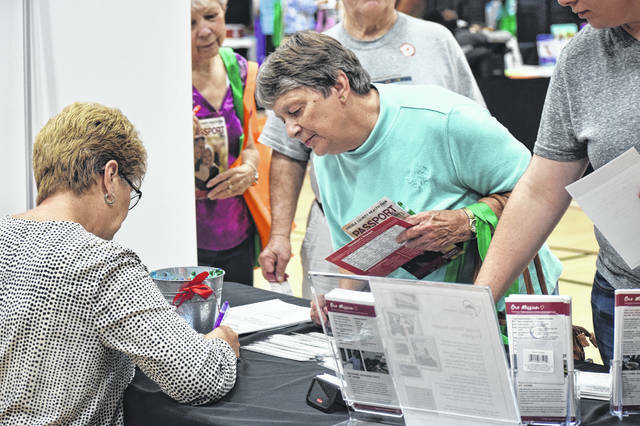 KHN performed 91 blood sugar screenings and scheduled seven mammogram appointments and Vancrest preformed 94 cholesterol checks — and Walgreens gave out flu shots. This is a record for our health fair,” Morin said. Other vendors included were Dayton Sports Medicine, Fifth Third Bank, Gebhart Counseling, The HIT Foundation, Mental Health and Recovery Board, Med Flight, Preble County Chamber and Safety Council, Preble County Council on Aging, Preble County Library, Preble County Mental Health and Recovery Board, Recovery and Wellness Center, Samaritan Behavioral Health, Simon Insurance, State of the Heart Hospice and Vitas. “The YMCA shared information on the Diabetes Prevention Program, LiveStrong at the YMCA Cancer program and other numerous programs. The YMCA would like to thank all the vendors and community for coming out for a great event,” Morin said. 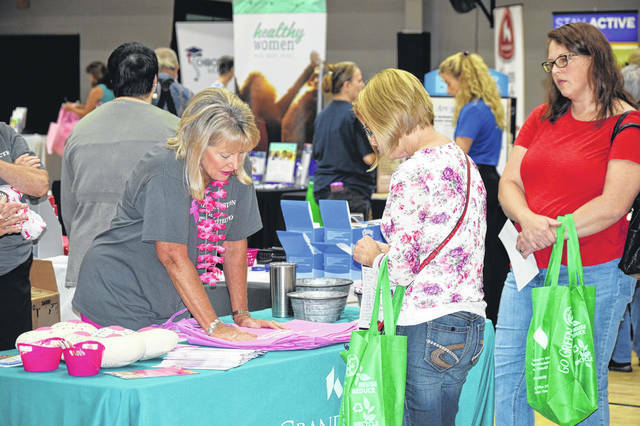 https://www.registerherald.com/wp-content/uploads/sites/41/2018/09/web1_Fair3.jpgThe Preble County YMCA held its annual health fair on Thursday, Sept. 13, as a way to get the community connected to services in the area. According to Becky Morin, Membership Director at the Preble County YWCA, this is the 14th or 15th year the event has been held.